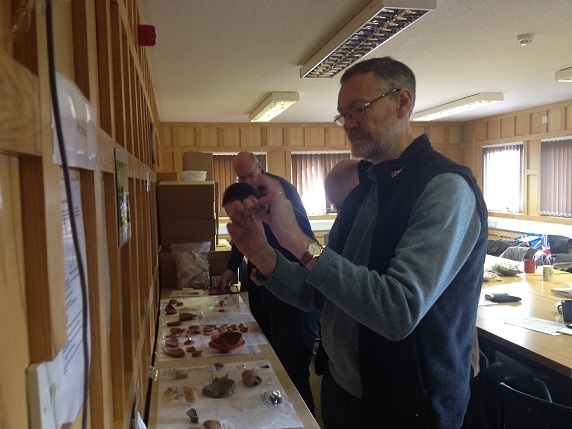 In March, we set up a pottery identification workshop with Roman pottery expert, Louise Hird and Megan Stoakley, Wardell Armstrong’s Finds and Archive specialist. 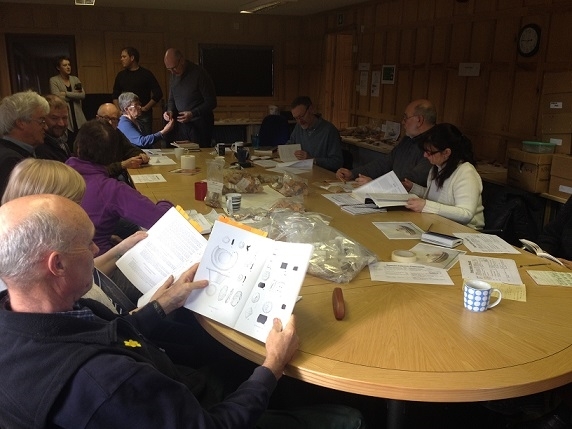 Both have been dealing with the finds from our excavations and kindly gave us their time to talk to the volunteers about the various types of pottery that they identified from our sites. 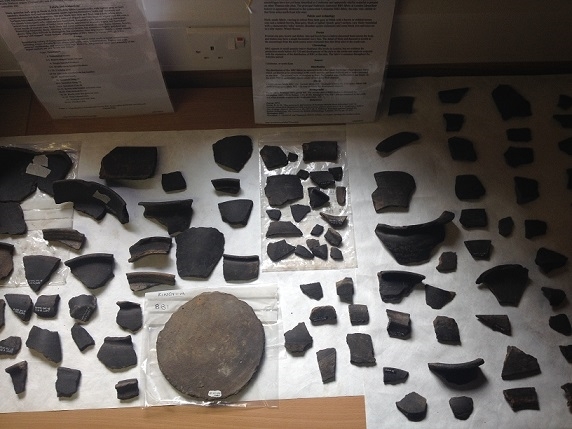 The volunteers were treated to a lovely display of the types of pottery, using examples found at our sites around Papcastle as well as some other examples from other Roman sites around Britain. 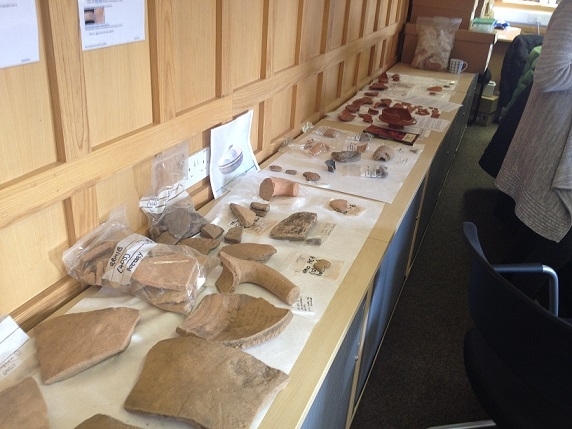 Megan started by explaining what she does when confronted with the many bags she usually finds placed on and around her desk after our excavations, as this is part of the process that our volunteers do not see once they have handed over their bags of finds at the end of the day. After quantifying the finds, she packs them up and sends them to Louise. Megan then introduced Louise, who then went through the various materials and types of Roman pottery that we have found on our sites and that are common to the area. 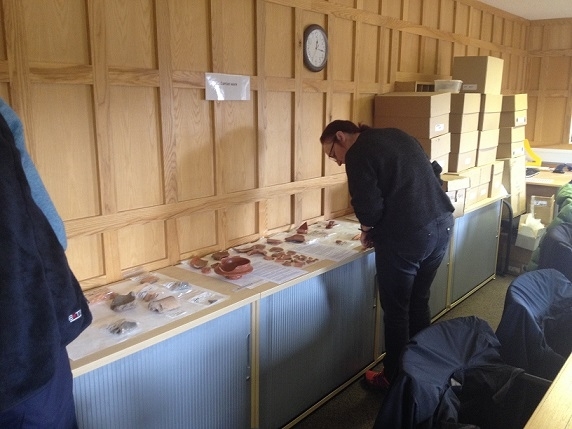 She showed us examples that were distributed from the south, as well as wares that would have been made locally at either Carlisle, Brampton or possibly even Muncaster. 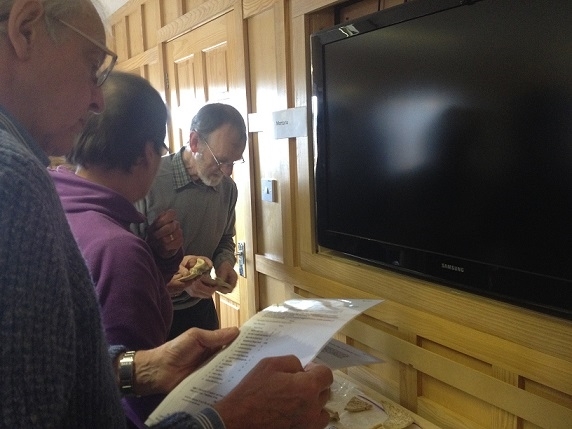 She explained to the volunteers what she looks for in order to identify the type of pottery. 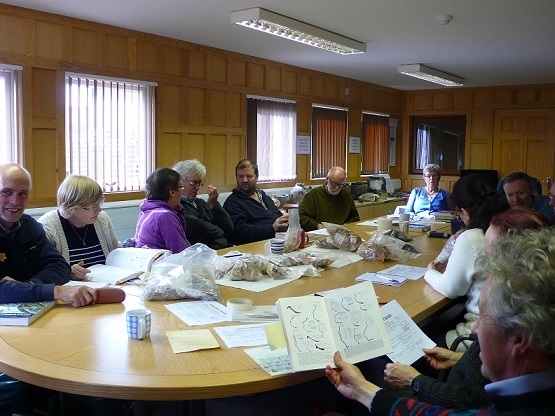 Once both had finished their talks, the volunteers were split into groups and tasked with identifying as much pottery as they could from the finds presented to them- some were from the south of Britain, others were from Papcastle. 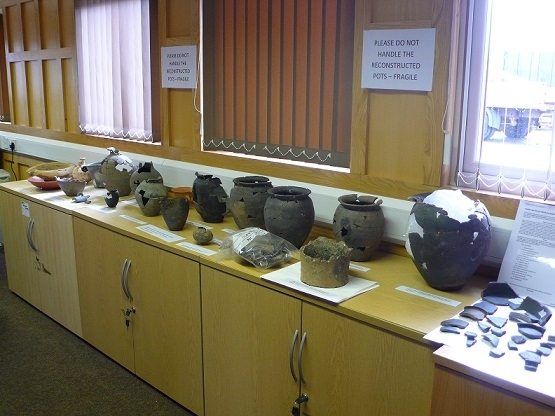 They used what they had been taught and shown as well as the examples on display, the reference collection and some websites that Megan and Louise had left up for them. 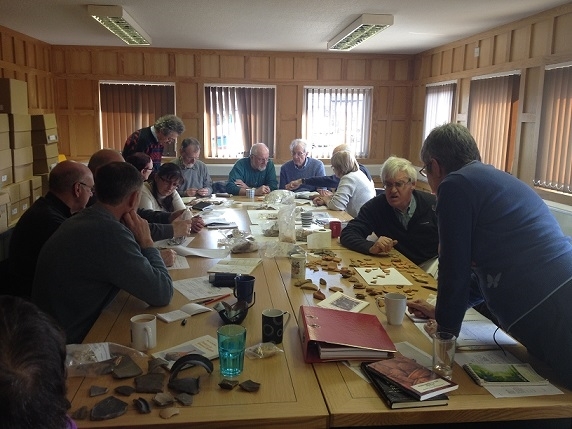 It was a very successful day which will hopefully see the volunteers having the confidence to say which type of pottery they think they have uncovered during out next evaluation in May 2014. A very big thank you to Megan and Louise for the workshop and thank you to the volunteers who came along. If you would like any information or would like to join the project, then please use the Get Involved tab.